Artworks created in the MTC Fine Arts Studios are beautifully showcased in a dramatic setting adjacent to the lobby of our Tampa location. All art is available for sale. Proceeds go to the artists and a portion to support the MTC Fine Arts Studios. Mrs. Culverhouse, a pioneering athlete, business woman, philanthropist and wife of the one-time owner of the Tampa Bay Buccaneers, was a great friend to MacDonald Training Center. After the death of her husband, Joy actively managed the couple’s business interests, and launched a distinguished career in philanthropy. Her legacy includes gifts to charities and non-profits totaling millions of dollars, including gifts to universities, community programs, and women’s and children’s causes. Her generosity to MacDonald Training Center was unparalleled. As state funding cutbacks impacted our ability to provide needed services, The Joy McCann Foundation quietly stepped in to fill many gaps. Over the years, funding from the Joy McCann Foundation enhanced MTC’s Technology Lab, Nursing , Employment Services and Volunteer Outreach as well as many other needed vitally needed supports. 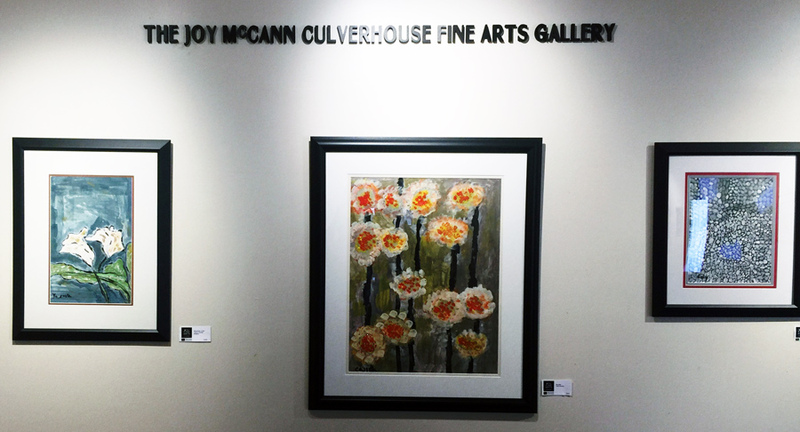 MTC established the MTC Fine Arts Studios in 2005 through a generous grant from the Joy McCann Foundation. The success of MTC artists as advocates for the abilities and capabilities of people with disabilities has changed lives. Their inspirational artworks change perceptions about what people with disabilities can accomplish. We respectfully honor her belief in our mission “to empower people with disabilities to lead the lives they choose” by dedicating our Fine Arts Gallery in her memory. Diaz, Pearson & Associates, Inc.